Looking for your next event to be awesome? The Photo Mosaic Wall from My Photo Booth Experience will simply blow your mind. The Photo Mosaic Wall makes everyone at your event feel like once you look at the big picture, we’re all in it together. From up-close, you see individual photos – further back, the Mosaic is revealed. When choosing you picture for the mosaic why not use your company logo, a Mosaic of all the employees would make a spectacular office centre piece. If you wish for the Mosaic Wall to be for a personal event what better way to get all your family and friends together in one photo. It’s the absolute ultimate keepsake for event hosts and creates a meaningful experience like no other for event guests. 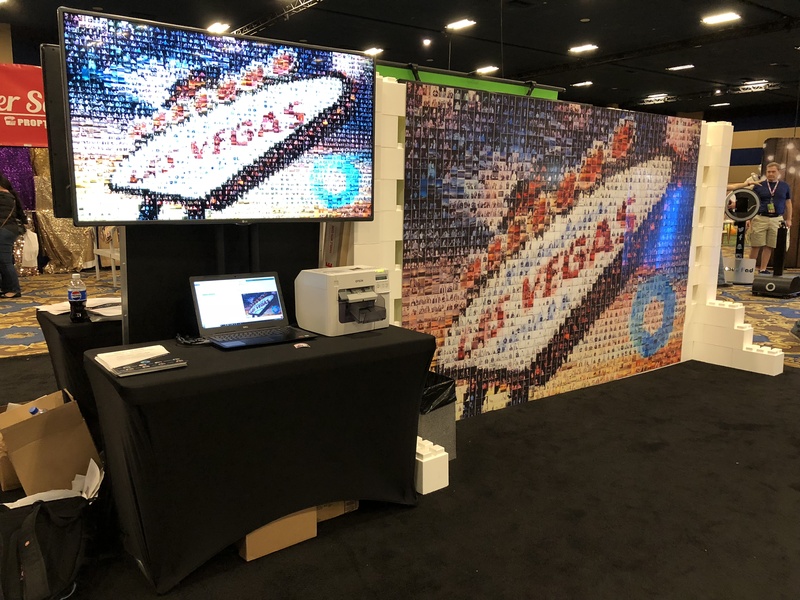 The physical setup of the Photo Mosaic Wall allows you to create stunning mosaics on physical boards ranging from small to gigantic. Event guests can take part in the creation process, place their photos on the mosaic wall and see them become a part of the whole. The final mosaic board can be framed and kept by the event’s hosts as a souvenir that doubles as a work of art.